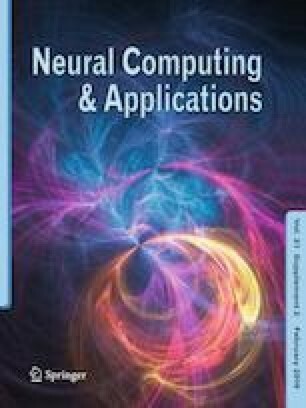 This paper focuses on the stochastic synchronization problem for a class of fuzzy Markovian hybrid neural networks with random coupling strengths and mode-dependent mixed time delays in the mean square. First, a novel free-matrix-based single integral inequality and two novel free-matrix-based double integral inequalities are established. Next, by employing a novel augmented Lyapunov–Krasovskii functional with several mode-dependent matrices, applying the theory of Kronecker product of matrices, Barbalat’s Lemma and the new free-matrix-based integral inequalities, two delay-dependent conditions are established to achieve the globally stochastic synchronization for the mode-dependent fuzzy hybrid coupled neural networks. Finally, two numerical examples with simulation are provided to illustrate the effectiveness of the presented criteria. This work was supported by the National Natural Science Foundation of China (Grant Nos. 61273022, 61433004, 61627809). Rearranging (27) yields (8), and this completes the proof. , respectively. Thus, inequality (55) still holds according to Jensen integral inequality. Therefore, from Definition 1, networks (4) are globally asymptotically synchronized in mean square. This completes the proof. Following the same line as in Theorem 1, we can easily complete the proof of Theorem 2.